Are You Planning a Maker Space? I was having a conversation with a tech director from another school , and we were discussing budgets and resources. The amounts were fairly staggering for bandwidth, subscriptions, and network support for content management and VPN. Shortly after the conversation, I started to question my priorities. What was driving my budget? Where was the demand coming from? I started to realize the main force behind the budget was access to online subscriptions. Subscriptions that allow students to consume and use, but not to create. At this point I decided to make some changes. I decided to focus on rapidly developing the spaces required for students to build and create. On each of the campuses I have the pleasure of working at, I identified an area which would suit robotics, 3D printing, working with computer hardware, and generally support a huge mess. I considered the long view of robotics, which is not Lego. The next generation will be robots made of strong flexible material. The robot will be large and powerful compared to their Mindstorm’s counterparts. Research VEX for more on this topic. This means the maker spaces need to be rugged areas where metal can be manipulated, 3D printers can run all night, and occasional chaos will be the norm. What is often referred to as “hard fun” will be the culture of these environments. I firmly believe with the adoption of more and more BYOD programs, schools need to stop filling curriculum gaps with subscriptions, Apps designed for consumption and expensive network management tools. BYOD allows students to use, damage, and alter their gear. Therefore budget planning should focus on allowing students to connect to technology designed for teaching and rewarding creation over consumption. Maker spaces can also be for art, music, and media. Ideally they are simple and practical spaces with some flexibility mixed with organization. In 2015, with the cost of 3D printing falling and the availability of Arduino, money needs to shift, and infrastructure should he designed or redesigned to accommodate maker spaces. If you haven’t already done so, start these conversations, and start empowering and enabling creation. Move away from staring at pointless Apps running on over priced watches, and move toward real ideas that teach students how to shape their world instead of just participating in it. This entry was posted in Educational Technology, Instructional Technology, Tech Integration, Uncategorized and tagged 3D Printing, MakerSpace, Subscriptions. Bookmark the permalink. 5 Responses to Are You Planning a Maker Space? I wonder if Maker Spaces could be the new “shop class.” When I took shop in middle school I loved it. It felt more like a science to me than just blue collar work. The precision, the technique and being able to utilize different tools, materials to create something. I wish I had more of those classes. The Maker Space could be a suitable outlet for those regrets. What a beautiful quote “schools need to stop filling curriculum gaps with subscriptions, Apps designed for consumption and expensive network management tools. ” Mind if I use it (with attribution, of course)? 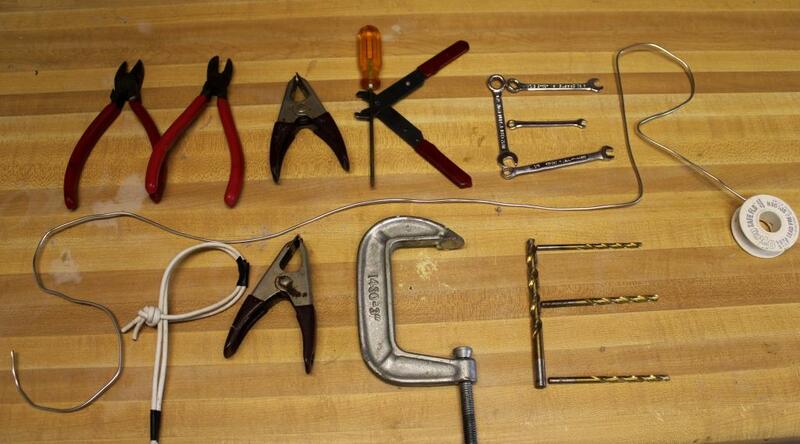 I need to learn more about maker space, as we are starting to plan. I grok the idea of an open “making space”, but I don’t fully see how to “fit” the spirit of maker / hacker culture into a school that is fairly traditional in our approach to learning (standards-based yadda yadda, scope and sequence, etc). Bill- you can use anything I write. No worries. As far as assessment goes, I see it like a Design Tech type approach or a robotics curriculum approach. In Robotics I use a point system which includes about 20%-30% of the points coming from documentation and participation. Even if the Maker Space is an after school program to start, I think it is worth doing. Nothing has to be formal when it begins.